Turbocharge your FB ads with branded Designed Catalogs proven to boost CTR and ROAS. 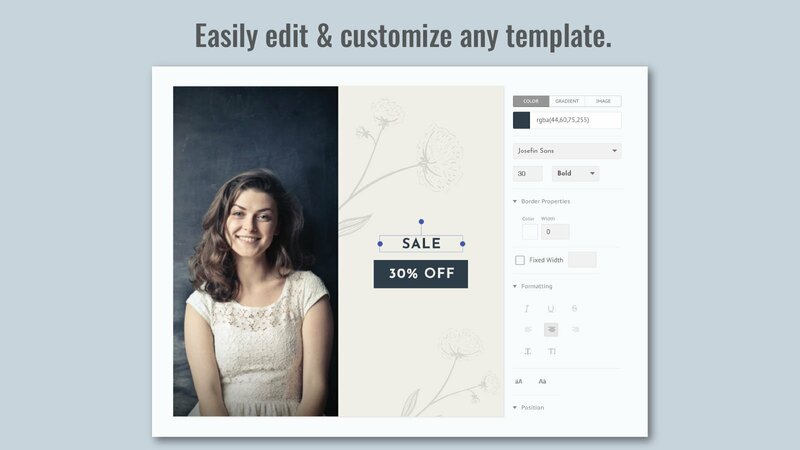 Get perfectly rendered ads with our powerful image optimization software which ensures that your products are never cropped or distorted. 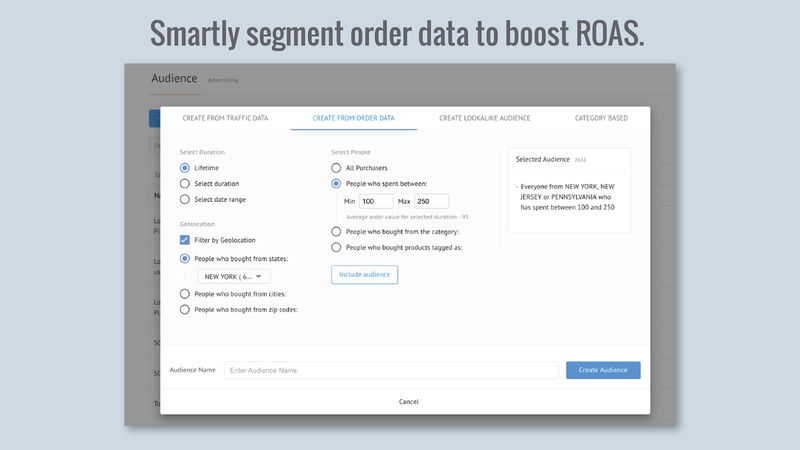 Discover high-intent audiences by intelligently segmenting pixel and order data. 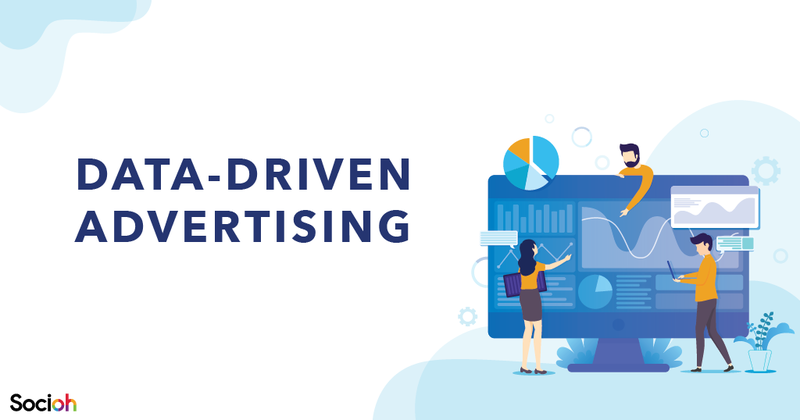 Create ads for every step of your buyer’s journey! A successful ad needs the right audience and the right creative. Socioh delivers both. We help e-commerce brands segment their target audience using their pixel and order data. 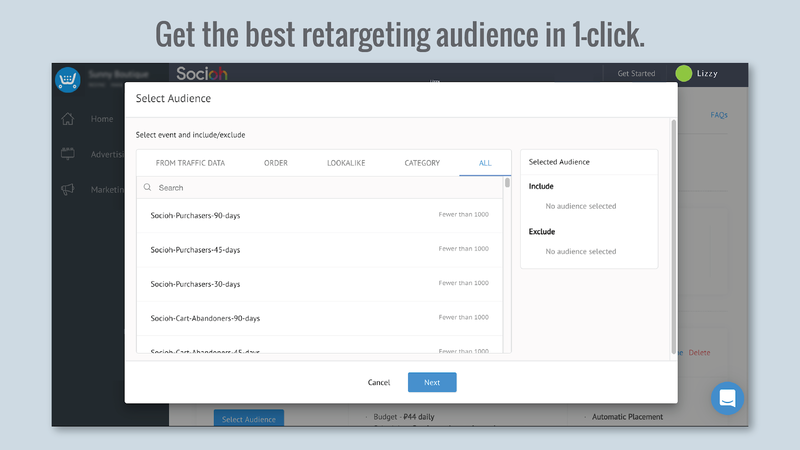 Each audience segment is then targeted with personalized creatives and messaging. 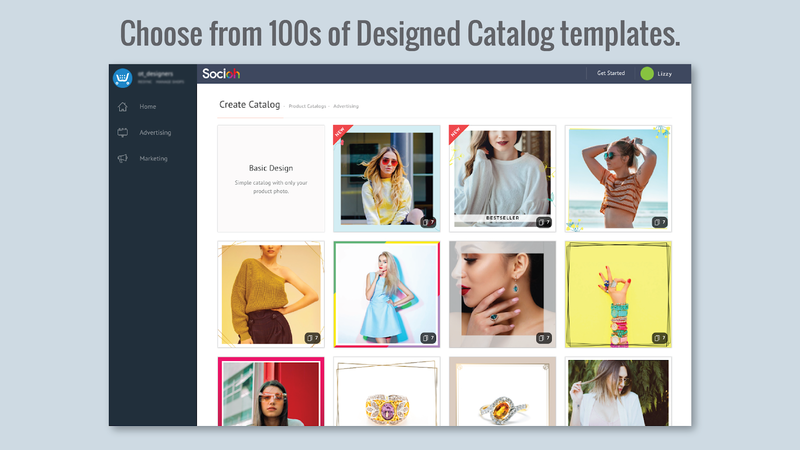 Our unique Designed Catalogs automatically map shop information like coupons, discounts, brand logos and more onto the ad creative. 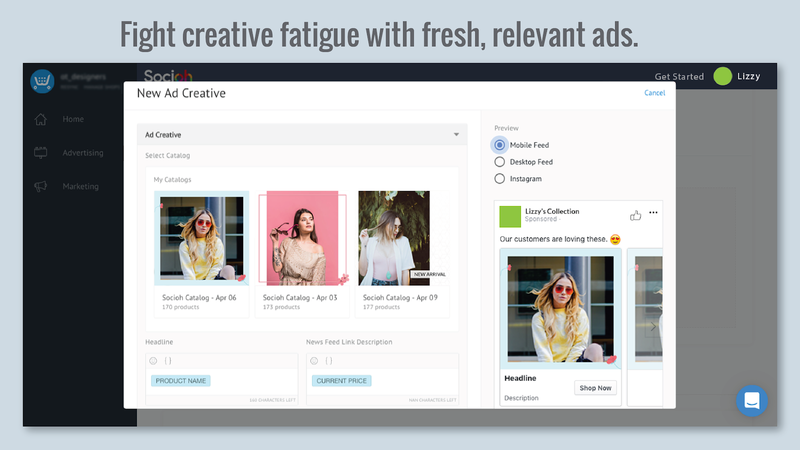 Socioh syncs real-time with your store's inventory, so your ads always reflect the latest inventory. Dynamic Product Ad (DPA) catalogs with 1000s of products are rendered perfectly within minutes. 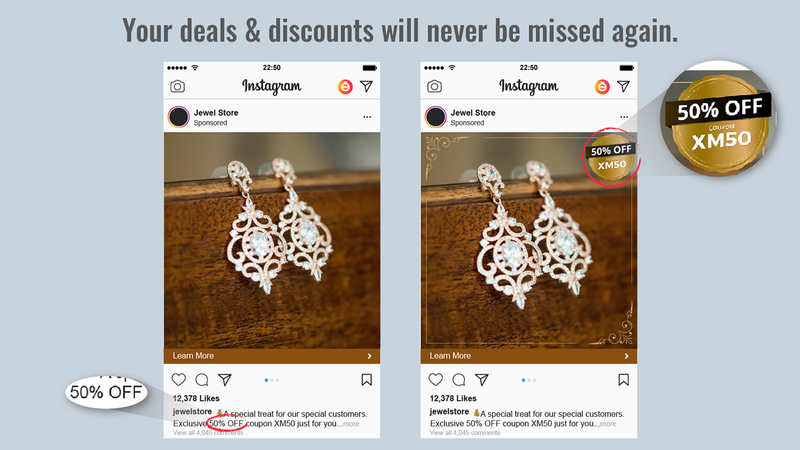 This helps brands easily A/B test creatives at scale to identify the best ads for any target segment. This game-changing innovation is proven to boost CTR & ROAS by an average of 5x-8x. We also offer a comprehensive suite for organic social media marketing. This includes automating discounts, promoting products on Auto-Pilot and curating content for audience engagement.